Oh, man. 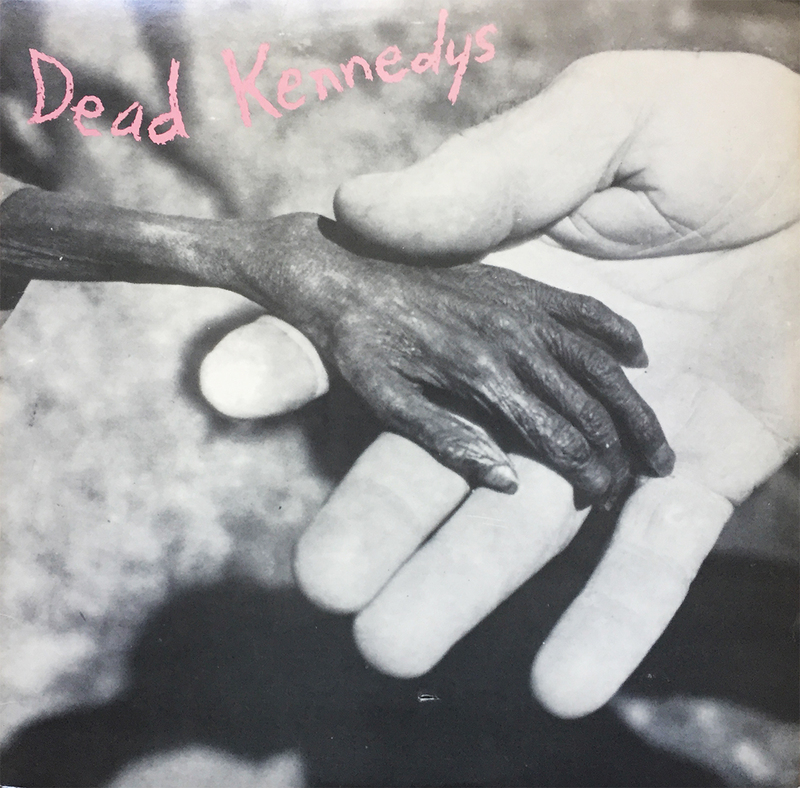 I can say, with an honest tongue, that the Dead Kennedys were my favorite band for about six months one year back in the early 2000’s. This copy was purchased at a little book store in Madison, WI (I believe it was Frugal Muse) while on my way back to the pizza shop on a delivery. One takes luxuries now and again, and for only $10 which, at the time was high, but seems like tip money now. I think my move to California and my new found love for James Booker knocked me out of my DK cloud, but their first two albums are still in my top 20 of all time (1980’s Fresh Fruit for Rotting Vegetables and this, 1982’s Plastic Surgery Disasters). Cheers.